The treatment for a parasitic disease called Chigras that has been available for free will soon be sold -- though for an as of yet unknown price. Martin Shkreli is once again causing an uproar, this time as a result of his plans to drastically increase the price of a decades old drug which is intended for the treatment of a potentially fatal parasitic infection called Chigras. In September, Shkreli became infamous for buying the U.S. sales rights to a form of HIV medication and increasing the price dramatically. 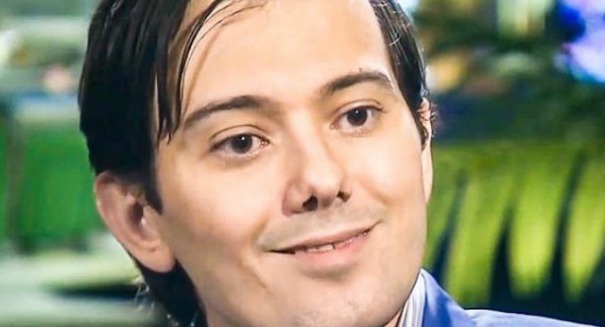 Since then, Shkreli has been buying up the sales rights to other medications and similarly price jacking. According to CNBC, Shkreli’s recent activities have been reported to be a result of his interest in taking advantage of federal program intended to encourage companies to develop drugs for relatively neglected diseases, like Chigras. As a part of the program, the FDA awards vouchers that can be sold to other companies for hundreds of millions of dollars. While it is intended to encourage the increased proliferation of medication for certain diseases, critics believe Shkreli’s actions will accomplish just the opposite, and that he is exploiting the FDA’s program. Last month, Mr. Shkreli took control of a failing California biotechnology companies called KaloBios Pharmaceuticals. When he took control, Shkreli and his investors bought up KaloBios stock at around $1.50 per share — since Mr. Shkreli has been in control, the price of stock has increased to closer to $28 per share. Under Martin Shkreli, KaloBios has agreed to license the worldwide rights to a version of benznidazole, a standard Chigras disease treatment, in South and Central America, where the disease is most common. The medication has historically been freely available to those who suffer from Chigras. Benznidazole has never been approved for sale in the United States, but it is provided free to patients by the Centers for Disease Control and Prevention on an experimental basis. Doctors say that having a commercial supplier for the drug would be preferable to Chigras sufferers having to apply for experimental use of the treatment at Centers for Disease Control and Prevention. However, the sale of benzidazole would mark an improvement over its current limited availability only if the price is reasonable. KaloBios has put a price on the Chigras drug, though critics are expecting it to follow Shkreli’s patterns of behavior and end up wildly overpriced.